Gail Kligman, a professor of sociology and director of the Center for European and Eurasian Studies, has won multiple awards for her latest book, "Peasants under Siege: The Collectivization of Romanian Agriculture, 1949-1962," co-authored with Katherine Verdery, an anthropology professor at The City University of New York. 2012 Association for Slavic, East European, and Eurasian Studies (ASEEES) Barbara Jelavich Book Prize for distinguished monograph published on any aspect of Southeast European or Habsburg studies since 1600, or 19th- and 20th-century Ottoman or Russian diplomatic history. 2012 ASEEES Davis Center Book Prize in Political and Social Studies for outstanding monograph on Russia, Eurasia, or Eastern Europe in anthropology, political science, sociology or geography. 2012 Association for Women in Slavic Studies (AWSS) Heldt Prize for Best Book by a Woman in any area of Slavic/Eastern European/Eurasian studies. 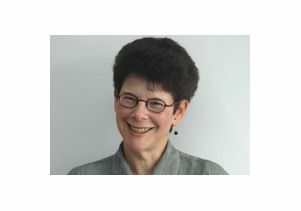 Gail Kligman is a distinguished professor of sociology and associate vice provost of the UCLA International Institute.